Exporter & Supplier of Ayurvedic Medicine for Medical Store. Our product range also comprises of Eye Drops, Human Insulin and Ayurvedic Medicine. Information about Arnopen CapsuleArnopen Capsule is an ayurvedic formulation which systemically attacks the root cause of inflammatory disorders in joints and muscles. It normalizes the physiological parameters to bring about improved blood circulation & functional improvement. 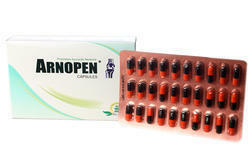 Arnopen capsule reduces morning stiffness, increase mobility and grip strength, restores co-ordination. It effectively checks joint erosion and produces regression & lasting relief in rheumatic conditions. Mahayograj Guggul possesses anti-inflammatory,anti-rasana,kundru and rheumatic actions. Sameer Pannag strengthens muscles,tendons & ligaments. It potentiates anti-inflammatory effects of other drugs. Kundru restores integrity of vascular blood vessels and builds collaterals. Khurasani Owa is a muscle relaxant. Chitrak promotes tissue metabolism and prevents formation of ama. Take 2 capsules twice daily. We are the well known a wholesaler, trader and supplier of a vast assortment of optimum quality Ayurvedic Medicine for Medical Store. This ayurvedic medicine is processed with the help of premium quality ingredients and sophisticated processing techniques in accordance with set medical standards. Our offered ayurvedic medicine is valued among customers owing to its accurate composition. 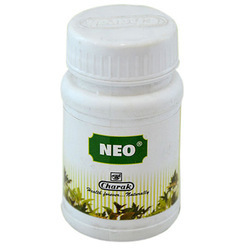 Customers can avail this ayurvedic medicine from us in a stipulated time frame. Looking for Ayurvedic Medicine for Medical Store ?